Every year, a multinational consumer goods company invites executives from its Brazilian client-companies to a new destination. While the location always changes, the cities all share one thing in common; they are hotbeds of education and innovation. This year, the Brazilians made the trip to San Francisco. The educational portion of the trip revolved around two major institutions: Google and Stanford. The Brazilians toured the busy Google offices in Mountain View before visiting Stanford, where they took in two days’ worth of industry-relevant speakers and sessions. They say that Sausalito is why they built the Golden Gate Bridge. An easy drive from San Francisco, the bayside city is famous for its thriving art scene. Whether you’re looking to invest in premium works of art or just pick up some funky local creations to remember your trip by, Sausalito has it. 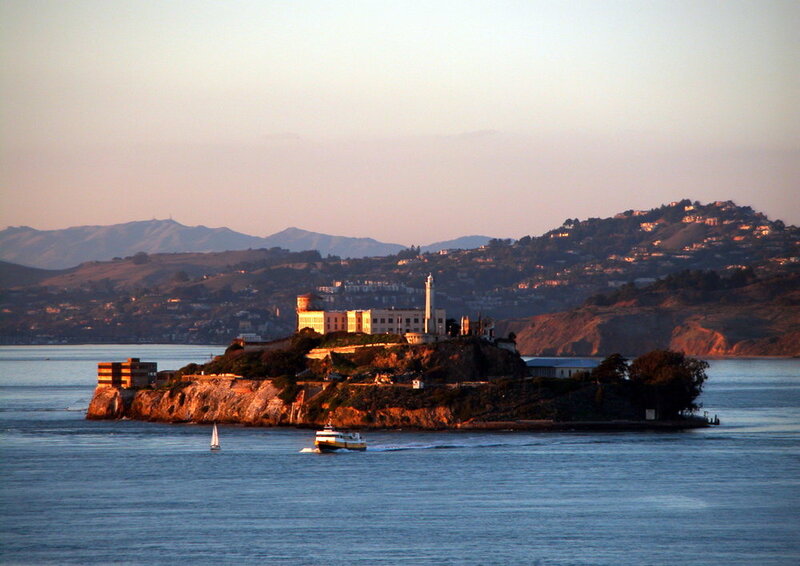 From the beautiful island of Sausalito, we chartered a ferry to the notorious prison-island of Alcatraz. We toured the grounds of The Rock, visited the cells of famous inmates such as Al Capone, and were eventually led to the prison’s hospital. While a prison hospital is not the first place you’d expect to have a nice dinner, this former inmate treating room was transformed into a first-class dining room. We had our final gala dinner aboard the USS Hornet, a decommissioned aircraft carrier. Having participated in World War II and the Apollo 11 space mission, the legendary aircraft carrier is now also a museum. We explored the ship’s many decks, and got up close to the classic propeller aircraft, jets, and helicopters throughout. Especially intriguing for international visitors, San Francisco is a microcosm of the United States. It offers art, history, dining, and entertainment, in addition to some of the most forward-thinking companies and universities in the world. Our Brazilian friends enjoyed themselves immensely, and many wondered why they’d never visited this vibrant City by the Bay before.